A few days last week were so dismally cold outside that it was hard to crawl out of bed. I just wanted to huddle under the covers and hibernate until winter loosened its frosty grips. Apparently I wasn't the only Fantasy Artist of Etsy missing the sun. AJ of Erthe Fae Designs was feeling just as blue as my ice fairy. Thank you for sharing our link! Wonderful fairy treasury! love ErtheFae's blue collection. so much so, that mine is blue hued too! Gorgeous Treasury - those gnomes are so cute! I agree that it is so hard to get up and get going when it's cold outside. Thanks for another great link up! 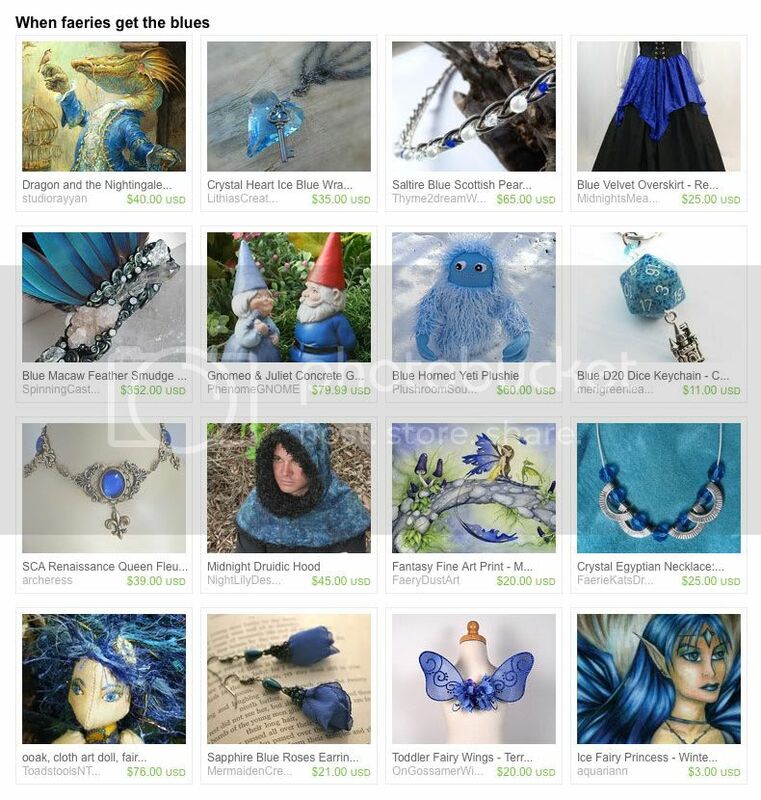 The blue fairy treasury is beautiful and perfect for winter. Thanks for the linky. I love the blues. Off to click. Love the fairy treasury! Thanks for sharing my treasury too! Thanks for hosting!! Many blessings!!! The blues in that treasury are just so pretty! Thank you for sharing our treasury!